Is God calling you to a life of prayer, community and service? 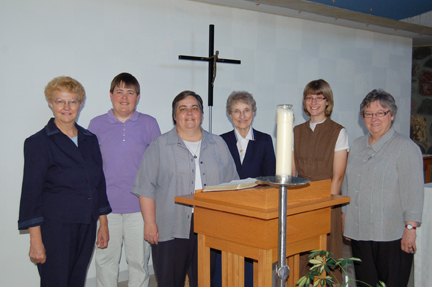 Perhaps God is calling you to be a Sister of Annunciation Monastery! Join us for a "Come & See" vocation live-in retreat Friday, March 22 (7:00 pm) through Sunday, March 24 (1:00 pm). Meet our sisters, join us for prayer, meals and recreation. Enjoy time for private reflection to listen to where God is leading you! COME & SEE! We'd love to journey with you!